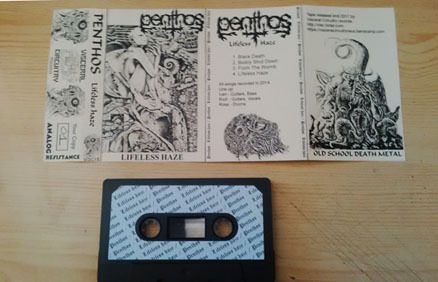 PENTHOS (Uk/ Fra) Lifeless haze Demo tape. Out now! Cover on beige paper, black tape with sticker. The first review of PENTHOS has appeared ! 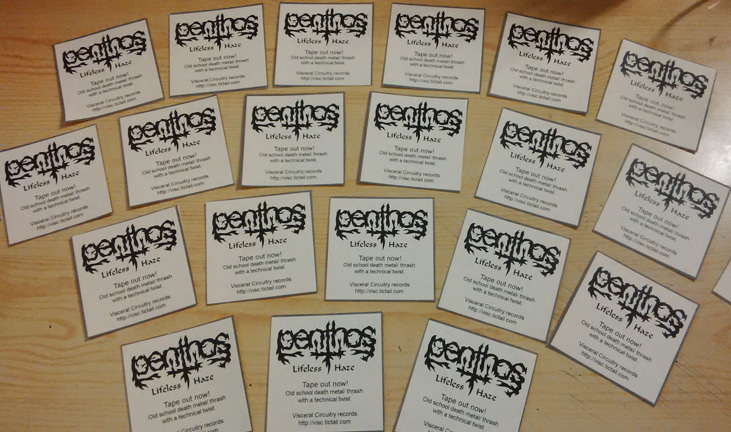 The full demo of PENTHOS is now for streaming on Youtube ! Fan of old PESTILENCE, early POSSESSED, early GORGUTS, old MORBID ANGEL, check it out!